ATLANTA, Ga. — Atlanta is now home to the Harvard Debate Council Diversity Project (HDCDP). Program applications were opened for the inaugural class on Monday, Oct. 2 to ninth-11th grade high school students living in the Metro-Atlanta area (Cherokee, Clayton, Cobb, DeKalb, Douglas, Fayette, Fulton, Gwinnett, Henry and Rockdale counties, and the city of Atlanta). 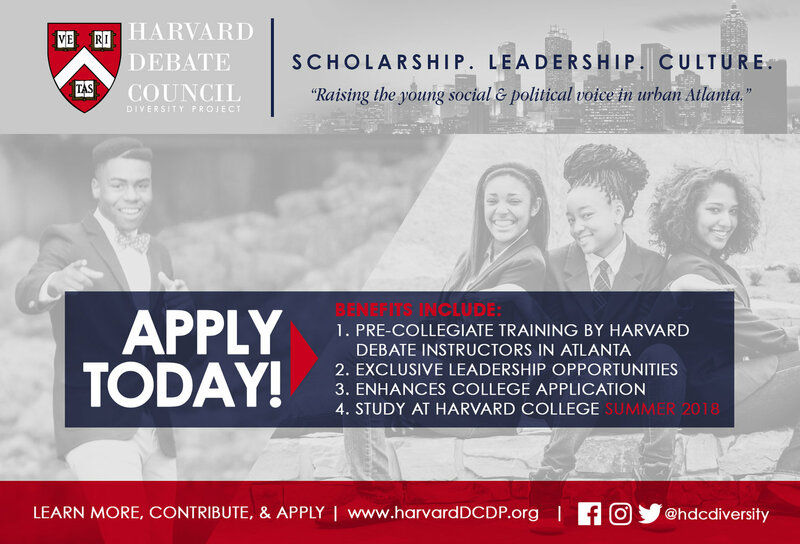 In addition to raising the social and political voice in urban Atlanta, the HDCDP is designed to matriculate African-American students into the Harvard Debate Council’s residential summer program at Harvard University. This program gives students first-hand experience of residential life at Harvard University and an opportunity to learn from accomplished debate professors and coaches. This program is one of the first of its kind, said Fleming, and will help student participants leverage both academia and leadership, as well as, present new possibilities to them. Students will attend sessions two Saturdays a month from January 2018 to June 2018. These interactive sessions will consist of critical thinking, research, and debate lessons. In Atlanta, HDCDP students will also attend lectures from Harvard debate instructors to learn the principles of debate and argumentation, and to prepare for debates centered on critical social and political issues. Other HDCDP activities include visits to the Georgia State Capitol, Atlanta City Hall, law firms and courtrooms, which will serve as real-life debate stages. “No other activity [besides academic debate] imbues young people with a skillset that will train them to be effective students, communicators and citizens. Debate combines competition with advocacy, making it rewarding and worthwhile for even the most reluctant students to learn to research, read, speak and write successfully.” said Tripp Rebrovick, PhD, Head Coach of Debate at Harvard University. 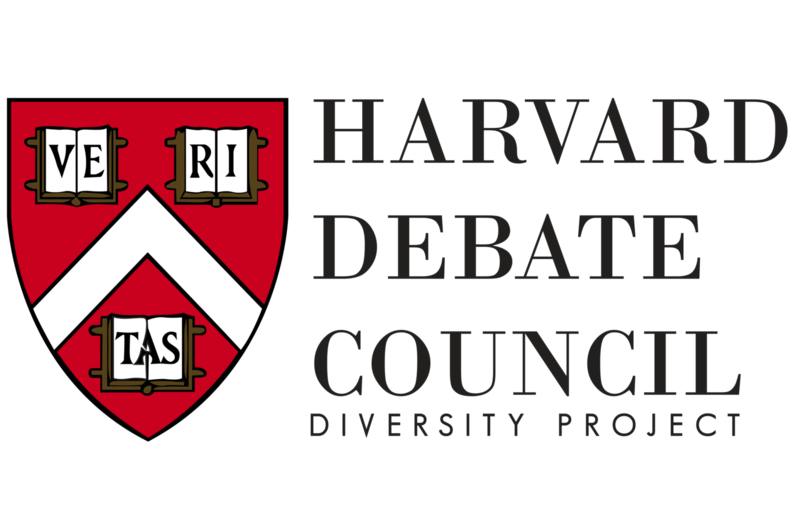 In addition to empowering and equipping area youth with unparalleled opportunities, the HDCDP also meets goals of the Harvard Debate Council. “The council is committed to both increasing the diversity of the student population at its summer workshop and expanding opportunities for high school students to participate in debate around the country and world,” Rebrovick said. Atlanta was selected as the program’s base for a number of reasons including Fleming’s avid recommendation and the existence of a vibrant high school and college debate community in the city. This will allow HDCDP students to join this community and participate in competitions without having to travel to a different city, Rebrovick said. Atlanta’s rich black history and home of the Civil Rights Movement also contributed to the decision to locate the program in the city. “Home to two of the most prestigious HBCUs [historically black colleges and universities] in the country, we knew there was no better intellectual training ground for black youth than the city of Atlanta. This city will also provide the support necessary for our youth to thrive on a national stage,” Fleming said. Application specific includes a verifiable, Metro-Atlanta address, current enrollment in the ninth, 10th or 11th grade, a one-page recommendation letter and a short minute video detailing the student’s contributions to the project. A 3.0 minimum grade point average is also preferred. The application deadline is Dec. 18. Currently, the project is funded by an initial grant from the Harvard Debate Council. In order to grow the program, the council and 14-member advisory board are seeking individual and corporate sponsorships from the community. 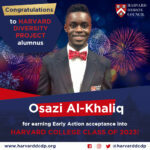 About the Harvard Debate Council Diversity Project: Built on scholarship, leadership and culture, the Harvard Debate Council Diversity Project (HDCDP) was created to raise the young social and political voice in urban Atlanta and to matriculate African-American students into the Harvard Debate Council’s residential summer program at Harvard University. Assistant Coach of Debate at Harvard University Brandon P. Fleming serves as the program’s executive director alongside a 13-member advisory board. The inaugural class of the HDCDP will begin in January 2018, in which 25 students will be selected. This enhanced academic program is sponsored by the Harvard Debate Council. More information can be found at www.harvarddcdp.org. 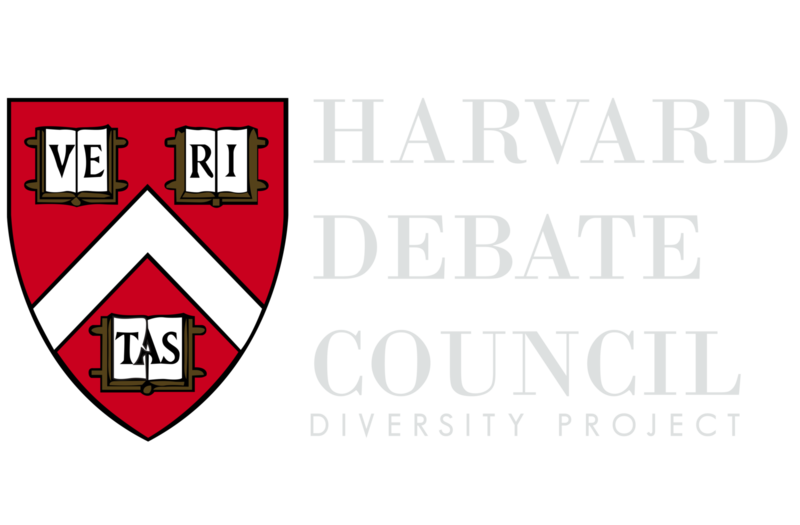 Join the social media conversation at: on Facebook and LinkedIn at Harvard Debate Council Diversity Project and Instagram: @hdcdiversity.